Monsey Beis Chaya Mushka (MBCM) is in its 13th year of providing quality chinuch to our daughters. 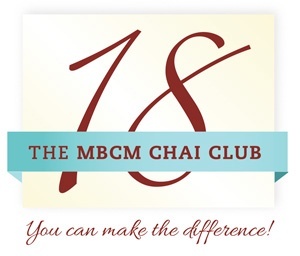 Please join the MBCM Chai Club to make a difference - a difference to the future of our daughters. The Talmudic adage "Each and every penny adds up to a large amount" enjoins us to give all we can to charity and displays how meaningful tzedokoh is. The Chai Club Math is simple and shows how far $18 can go! Just ten partners at the Chai level, giving $18 each month (about 59 cents per day) brings in $180 per month. Over twelve months this adds up to $2,160. Doesn’t seem so much? Combine that with another ten partners at the Double Chai level, giving $36 each month and we already have $6,480 annually. And so on! Your donation will help provide the resources necessary for MBCM continue to provide the wonderfully enriching high school chinuch for our daughters that it has become so well known for.